There’s been a lot written about the so-called divide between trade-published authors and indie, or self-published, authors over the blogosphere, and I’m afraid to say I’m about to add to the reams of virtual paper devoted to it. 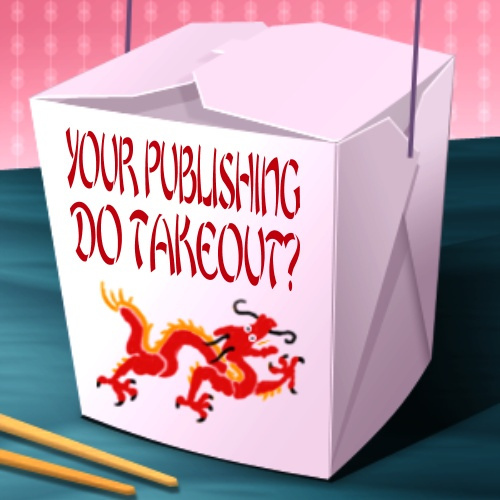 Two recently published surveys combine to underscore some of the key problems traditional publishing houses, or the Big Six (as these large publishing conglomerates are commonly known) might face when it comes to hanging on to their authors. They also draw stark contrast between the satisfaction levels of self-published and trade-published authors. The first survey, the Taleist Self-publishing Survey, truthfully titled Not a Gold Rush, collated the results of 1007 self-published authors and asked about practices, attitudes, pricing, sales, and their satisfaction with their publishing efforts (Catherine Ryan Howard does a good break-down over on Catherine, Caffeinated). The second—conducted by Harry Bingham’s editorial consultancy The Writers’ Workshop (with the help of the Society of Authors, The Crime Writers Association and The Romantic Novelists Association)—was based on the answers of 321 trade-published authors, asking them how they felt about publishers’ editing, cover art, and marketing. It also asked several telling questions about whether those authors would stick with their current publishers, and found that 40% of the respondents said they would move to a new house if “a reputable publisher offered [the] same advance”! All in all, the Writers’ Workshop survey appeared to suggest that trade-published authors are happy with the editorial and creative input of publishers, but that the marketing and communication aspects seemed to leave a lot to be desired, and the way of the future, for the majority of authors, appears to be self-publishing (although for some, there was only a grudging acceptance of that). The participants’ biggest complaint seemed to be about marketing (and, unsurprisingly, indies like to moan about marketing, too). It seems from the study, that one of the major drawcards of going with a trade publisher—the marketing and publicity—may have been taken off the table. The marketing may be marginal or less than an author would do themselves as an indie (although given the lack of consultation and communication, it may be true that authors were simply unaware of marketing efforts). Only 19.7% of respondents said they were closely consulted about their publisher’s marketing plans, and 33.0% (the most respondents for that question) said “there was no attempt at consultation.” Worse still, in another marketing question 38.4% of respondents answered the question “Did you feel the eventual marketing campaign made good use of your skills, knowledge, passion, contacts and digital presence?” with “What marketing campaign? I never noticed one!” And a paltry 14% said they were “very happy” with their publisher’s marketing campaign. Long lead times were problematic (46.6% rating it as the aspect of trade publishing they most disliked) as were “inadequate payments” (45.8%) and “insufficient consultation over the process (“42.4%)—something that self-publishers certainly can’t complain about! Communication was also a point of contention for some, with a combined 47% of respondents saying that communication was either “poor” or “tailed off” following publication of their book. 45.8% of participants were never even asked for feedback about their experience by the publishing house, answering “Nope. No one ever asked me what I thought” and guidance about the process at large was also on the slim side, which disgruntled 36.7% of participants. And, in case you were wondering: the all-hallowed advance, for 40.1% of respondents, was not a multimillion dollar affair but a meager $5000. When respondents were asked whether they might consider “cutting out a publisher altogether” to self-publish on Amazon, a whopping 74% appeared to be in favor of it (although, of those, 37.4% would be hesitant and saw it as a serious step to take). That left just 26% committed to having “a publisher to guide [them].” Dark days indeed. I, for one, can see why. If all the big publishers really have to offer is editorial, jacket and design influence, which savvy freelancers are now providing at reasonable rates to self-publishers, and a $5000 advance on royalties with little or limited marketing or input to back up sales, then they’re in trouble, big trouble. In contrast, 44% of the self-published authors who participated in the Taleist survey said they found their self-publishing venture successful (with a further 51% admitting it was too soon to make that judgment). Only 5% were dissatisfied enough to call their venture “unsuccessful.” More telling, when the Taleist participants were asked, “Knowing what you know now, would you self-publish again?” an overwhelming 90% responded, “Yes, definitely” (no jumping ship here) and 93% of participants also said they would recommend self-publishing to other authors. For me, it represents a real shift in author thinking. Where once the benchmark for author happiness was getting a trade publishing deal and holding a print book in your hand, it now appears that doing it yourself, and selling books online or in print, may be more likely to keep the smile on your face. I have also been conducting a survey of my own on indie publishing promotional practices, and you can participate here. So far, more than 117 people have responded, but I would love more. The results will be published free in future on a new promotional website that is currently in production, and will help guide relevant content on that site. With just ten quick multiple choice questions, it takes minimal time to complete, and I’d welcome your feedback. Who knows maybe we can add more data that will help other authors decide which route they think will benefit them the most? Last night I was all prepared to write today’s blog post about how to use commas effectively. The comma topic was prompted by a discussion on another blog, and I know that these pesky punctuation marks can cause headaches for even professional authors at times, so I figured I would add my two eggs to the mix. However, late last night, or, rather, at 1.24 in the morning to be precise (yes, like the majority of writers, I am an incurable night owl), as I checked for new posts on Indie Writers Unite Facebook page, I had a change of heart and decided to take an entirely different tack today. Before I begin, let me tell you that I am not a big fan of inspirational, NLP, feel-good or “how to” manuals that deal with the subjects of eternal happiness, staying positive, time-management, success, or acquiring wealth or inner peace a la The Secret. To me, most smack of slightly self-righteous high-fivin’ marketers turned authors profiteering from stating the bleeding obvious (You are responsible for your own happiness—well, duh!) or snake oil sellers peddling hocus pocus. It’s safe to say that the only “how to” guides on my shelf are about writing, editing and publishing, along with a brick-sized tome on DIY home renovation. That is, I’m a pragmatic, rather sceptical sort who doesn’t really spend too much time dwelling on what “the universe” owes me or might promise me. I am a “go out there and pinch the universe on the bum and see how it reacts” type of gal. However, many years ago I remember being forced to read something, as part of a publishing/marketing position I held at the time, that dealt with the concept of “abundance”. To be truthful, I can’t even remember the name of the book, but subliminally it must have impressed something upon me because last night it popped into my head. What struck me—and, let’s face it, it shouldn’t have come as a big surprise given the verb in the name of that facebook page—was the difference in attitude and in altruism between self-published or “indie” authors and traditionally published authors, and how approaching publishing with an attitude of abundance, rather than of paucity, makes a massive difference in author happiness. What I have discovered is that, because anyone can now publish and become an independent author, the mindset and the buzz around self-publishing is largely positive, in contrast with the negativity that has traditionally dogged the trade publishing industry. Now, I am a trade-published author too (if you “count” non-fiction, children’s/YA books and creative non-fiction, and let me tell you I’ve met some who turn up their literary little noses at these genres) and I’ve met hundreds of delightful, clever and generous published authors in my time in the industry. I’ve edited for many, and I’ve hobnobbed, latte-sipped, champagne-fluted, workshopped and industry-evented with others for more than a decade. Many of these authors repeatedly go out of their way to assist new writers, to act as mentors and to help promote others work, bless them. So let me make it clear that I am in no way casting aspersions on traditionally published authors. However, the problem with traditional publishing, to my mind, is that it has always operated on a platform of exclusivity and elitism. In some ways that can provide a remarkable sense of achievement, which is wonderful for published authors. A feeling of “I’ve arrived” (usually followed by a long and frightening pause then a panic of “where to now, and please point me to the bathroom”). In the traditionally published world (let’s call it the “scarcity model”) for every manuscript accepted by a big publisher or represented by an agent, hundreds more receive a big fat rejection letter. For every wriggling, squawking, naked newborn author success story hauled screaming from the slushpile, thousands more sank below the sludgy surface without a trace. Every author who was picked up represented one more of the coveted publishing “spots” denied to another author. Every book published was just another demand on a publishing house’s marketing staff. Every single new release became a competitor for shelf space in bookstores, another shark circling in the sea of words. In some circles, anything less than publishing award-winning literary fiction was small fry or didn’t count. “Oh so you publish non-fiction?” Cue eyebrow raise. “You won a short story contest?” Brow wrinkle. “You write for children.” Careful snigger partially concealed by a sip of Chardonnay. Now perhaps I’m playing up the comparison for the sake of being Devil’s advocate, and, as I said, many trade-published authors, recognising how damn hard it is to get a publishing contract, are lovely, caring, talented and supportive folk. But the thing I’ve noticed about indie publishing is just how perkily encouraging everyone seems to be. “Yeah. Way to go. You can do it!” They chant. I can tell they aren’t just saying it; they really mean it. And what is more, now it is true. You can do it. I can do it. Anyone can do it. Does that lessen the “special” effect—the experience of arrival? That depends on how you look at it. Let me also qualify this by saying that I am hardly a seasoned indie publisher. Many years ago, when I was a green willowy sapling of an editor (at least that’s how I like to remember my slimmer 24-year-old self) first trying my hand at freelancing, I helped several authors “self-publish”—a task that involved negotiating printer quotes and contracts, recommending and briefing cover designers, providing editorial services and generally project managing and dodging landmines on behalf of authors wanting to self-publish. I’ve been watching the self-publishing “market” grow for a decade since then, taking the occasional sneak peek at self-published products, noting the emergence of Lulu, Bookpal, Createspace and PoD and then the explosion of independent e-books. And, just this week I uploaded my first self-published book, Growth (a poetry anthology), on smashwords. Since then, the indie writers I have connected with on twitter, facebook and other sites have been overwhelmingly welcoming and encouraging. Few hold themselves up to be paragons of teeth-grinding hardwork or publishing martyrdom (although there are few bitter and twisted individuals who castigate agents, editors and publishers alike) and they don’t necessarily clothe themselves in the thick skin of those suffering years of patience and rejection. They freely and openly champion the simple courage of putting your work out there—out where its merits alone will determine whether it sells or fails and whether it fullfils publishing dreams or leaves its creator feeling deflated. It’s a marketplace of sheer abundance. “Come one, come all and the more they merrier,” they chorus, and I for one, find that a very merry proposition indeed. An abundance of words. An abundance of authors making money, however small, out of writing. An abundance of productivity. An abundance of encouragement. I ask you, what’s not to like?